Patients in Wales will benefit from stronger services and more expertise in genetic medicine, under a new strategy. The £6.8m plan has been designed to ensure Wales is able to offer treatment plans revolutionised by better understanding of human DNA. It is hoped patients will have faster access to genetic tests and targeted treatment could be offered. There have been warnings the Welsh NHS risks being left behind unless these services were developed. Humans have about 20,000 genes - bits of DNA code or instructions that control how our bodies work - but tiny errors in the code can lead to a range of different illnesses. 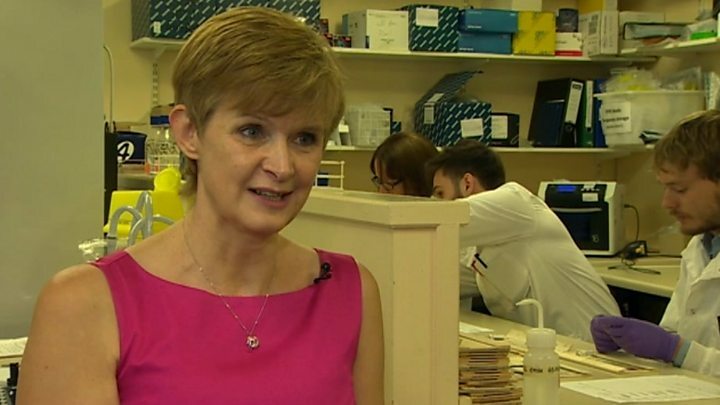 Media captionDr Rachel Butler: "We are able to use our genetics technologies to reach far more patients"
Dr Rachel Butler, head of the Cardiff-based All Wales Genetics Laboratory, said "precision" medicine provided targeted treatment. She explained that for certain types of cancer, for example, treatments were being developed based on particular genetic errors that can cause the disease. In the strategy, fears were raised that "the current and future potential" of genetics are "poorly understood beyond the specialist field". It said this "limits the ability of the NHS to fully exploit the possibilities and creates risks for the international competitiveness of Welsh Health Services in future". The strategy called for "stronger arrangements" to be put in place to prevent Wales from falling behind. It also said that, up until now, much of the infrastructure for genomics research in Wales has developed "opportunistically" based on efforts of individual institutions and smaller units. According to the strategy, a "higher level approach" was now needed which, if implemented, will ensure a "bright future for the application of cutting edge genomic technologies in Wales". Dr Rick Greville from ABPI Wales, the Association of the British Pharmaceutical Industry, said the "vast majority" of medicines being developed were using genomics as a component. "Through genomics we will be able to identify the best medicine for the most appropriate patient," he said. Dr Greville said the strategy was important because it brought together everyone needed to play their part. "It's really, really important for the NHS in Wales to be at the forefront of that science... and data collection and analysis." Thursday's strategy launch by Health Secretary Vaughan Gething comes two days after England's chief medical officer, Prof Dame Sally Davies, said cancer patients should be routinely offered DNA tests to help select the best treatments for them. Genetic illnesses like Cystic Fibrosis occur because a person inherits genetic defects from their parents and mutations can be passed on through the generations. Understanding the exact nature of those alterations can help scientists develop more effective treatments, and help them to identify new and more rare genetic illnesses. Most alterations are harmless, but if they happen in key genes they can can cause diseases like cancer. Understanding the exact errors can help tailor treatments to the individual, or small groups picking the drugs mostly likely to be effective. This is known as personalised or precision medicine. Unlocking the genetic code can also help doctors better investigate outbreaks of infectious diseases and tackle issues like how some bacteria become resistant to antibiotics. More than 15 years ago, scientists first demonstrated the entire genetic code that made up the entire human genome. It took more than a decade and cost a hundreds of millions of pounds. But by now a person's entire DNA can be sequenced in a matter of days at a cost of just several hundred pounds. Ultimately, experts predict genetic tests might become commonplace "at the point of care", for example in GP surgeries. But the advances in this field have led to concerns about data security and patient confidentiality. 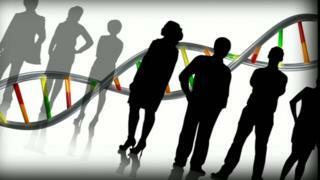 Patients may also not want to find out about errors in their genetic code. That is why many experts believe that in a rapidly evolving field of medicine, there is a need to "tread carefully".